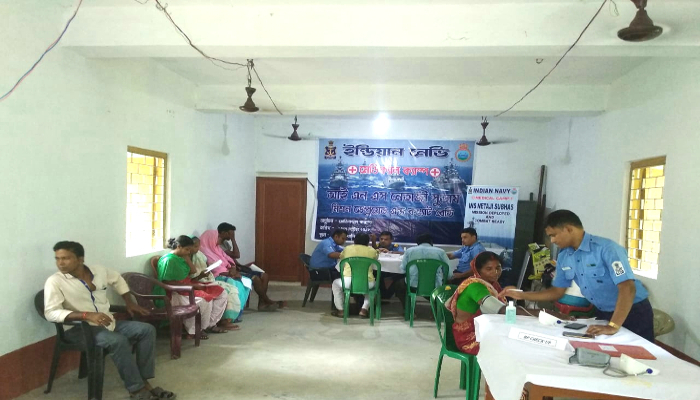 As part of Community Interaction Programme (CIP) for the fishing community, who are ‘eyes and ears’ of Coastal Security construct, a Medical Camp was conducted at Jharkhali, South 24 Parganas on 28 September 2018. 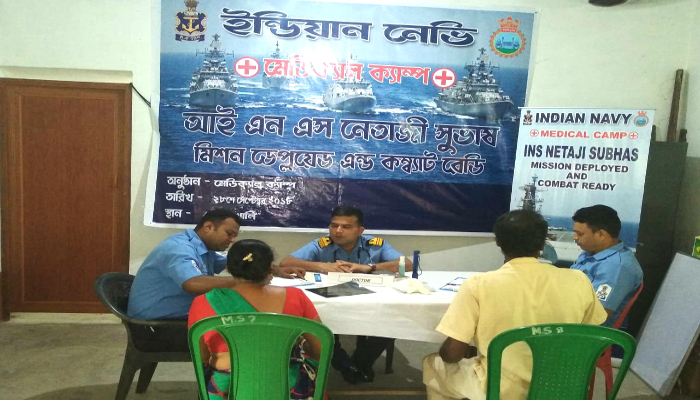 ​A medical team comprising medical officers, para-medical staff and senior sailors from INS Netaji Subhas were involved in conduct of the camp. 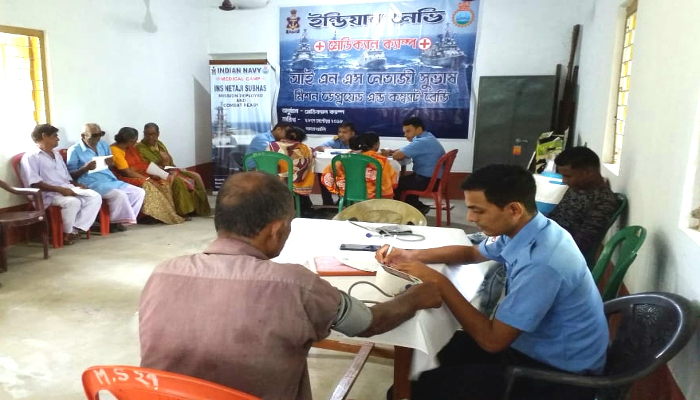 The doctors conducted out-patient consultation for medical, surgical, pediatric, eye, ENT, skin and cardiology ailments, followed by distribution of medicines. 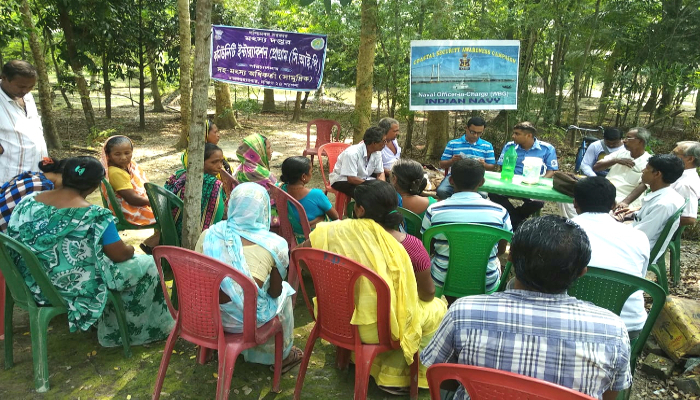 People were also advised on measures to be adopted to prevent spread of vector-borne diseases like dengue. Nearly 250 people benefitted by the Medical Camp which was supported by the local administration and volunteers.